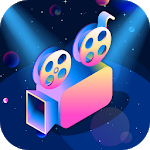 - Add a background music from our preloaded music library or use your own music track, making your videos slideshow more professional, personal, and special. 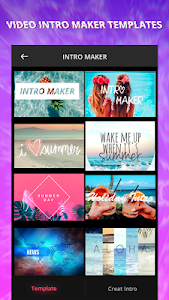 - Now it’s time to add media to your slides. 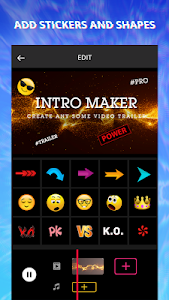 Choose between images, video clips, icons, or text. 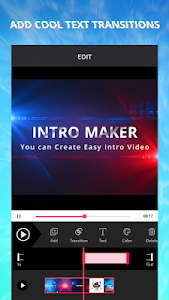 • Video Maker & Video Editor slow down & Speed up: create Multiple Fast or Slow Motions in the Same Video! 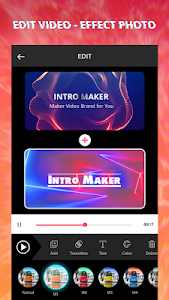 Whether you need a intro video maker for Youtube or a video intro to promote your videos, products, vlog, blog or production, you've come to the right video intro maker! 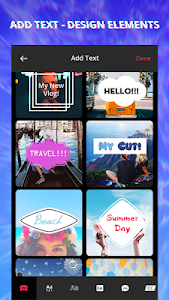 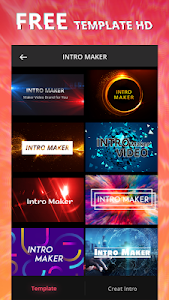 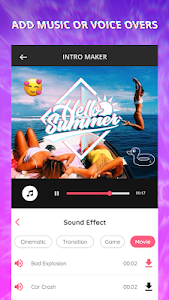 Similar to "Intro Maker With Music, Video Maker & Video Editor"